The 2015 UPCI Academy summer session came to a close on Friday, August 7, as the high school students presented their laboratory findings through oral and poster presentations at the Hillman Cancer Center. 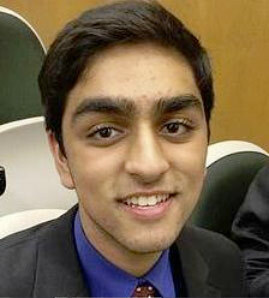 Congratulations to Zain Mehdi of North Allegheny Senior High School. At the UPCI Summer Academy event, Mr. Mehdi (mentors McGowan Institute for Regenerative Medicine deputy director Stephen Badylak, DVM, PhD, MD, and George Hussey, PhD) received the Best Poster Award among all UPCI summer academy scholars. The University of Pittsburgh Cancer Institute (UPCI) Academy provides rising high school seniors with 8 weeks of research-focused didactic and experiential learning at seven locations. Scholars work on their own research project in a dedicated research mentor’s laboratory. At the end of the program, scholars are asked to present their projects as an oral presentation and in a poster session. Participating scholars also learn important skills to help prepare them for success in college and in their future careers in science and medicine. McGowan Institute for Regenerative Medicine affiliated faculty member Michael Lotze, MD, is the Director of the UPCI Academy and a Professor of Surgery and Immunology at the UPCI Hillman Cancer Center.